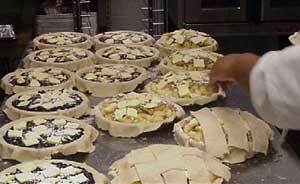 The original technique for Miss Parolee's (pronounced Pair‐o‐Lee) handmade Old Kentucky pies and cobblers dates back to the early 1800's when Grandpa Ballew ran a general store in Waco, Kentucky. Parolee White Stone was the granddaughter of Buell Ballew, and as a girl watched him make confections and pastries in his modest Madison County shop. 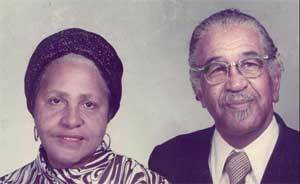 When Parolee married Irvine Stone, Sr. many years later, she made dessert daily to satisfy his love for sweets. Irvine, who could bake as well, whipped up amazing homemade lemon meringue and butterscotch pies and homemade rolls. After 60 years of marriage, the Stone children watched hundreds of cakes, pies, and rolls come out of their parents kitchen. Miss Parolee's was established in 1996 in honor of their mother. What started as an obligation to pay for her (Parolee's) medical care turned into a regional phenomenon, as the cobblers and pies that were brought to small area festivals sold out in hours. The company's exposure has steadily grown, and has now garnered a huge following of pie/cobblers enthusiasts in the Midwest and South. "My wife treated me nice for a week after she ate the cobbler." "Even if you don’t like cooked fruit, you will love Parolee's", remarked a fan. "It can only be described as delightful." "This is the best pie I have ever put in my mouth!" "It tastes like a bite of summer." It tastes just like home. The secret to Parolee’s success is in it's simplicity. All of our cobblers and pies have just enough natural juices, butter, and fruit meandering between layers of warm, flaky crust. It's comfort food and it tastes just like home.